The western media is loudly cheering for the Hong Kong protesters. The echoing call of commentators in the US and Europe is about the need for “Democracy in China.” The real goals of these protesters, who face increasing hostility from the Chinese population, are being widely questioned. 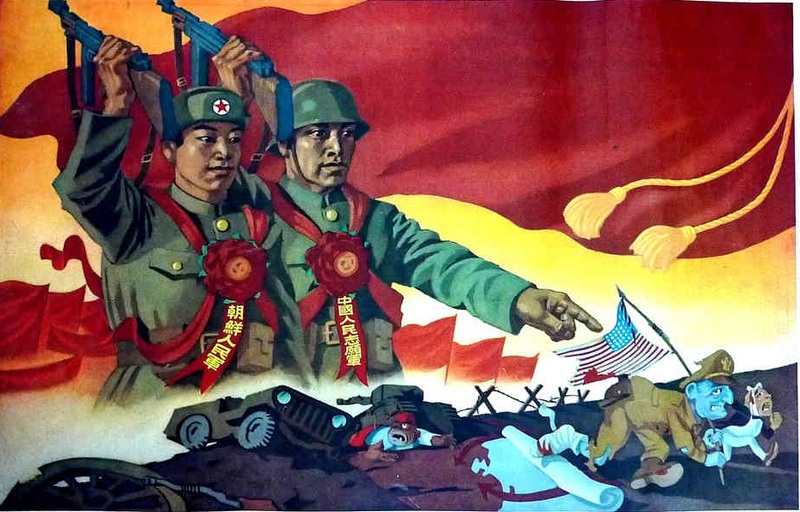 Interestingly, despite the current words of US leaders, the United States government has a long record of opposing forces that fought for further democratization of Chinese society. During the Second World War, the Chinese Nationalists (Kuomintang) and the Chinese Communists were aligned against the Japanese invaders. The Chinese Communist Party did most of the fighting and incurred most of the losses on the battlefield, and in the process won the hearts and minds of millions of Chinese people. The heroism of the Chinese Communist “People’s Liberation Army,” or “Eighth Route Army” as it was called during some periods, was recognized around the world at the time. The Hollywood War movie Gung Ho features an officer of the US Marine Corps raving about their tactics. In the late 1930s, Edgar Snow’s book “Red Star Over China” sold thousands of copies throughout the US and Europe, as millions read about Mao’s army, where soldiers elected their officers and engaged in “criticism/self-criticism,” with awe and fascination. At that time, the word “democracy” was used very frequently in the speeches and documents of Chinese Communist Party leaders. The policy that Mao Zedong and his allies implemented in liberated areas was called “New Democracy.” Mao Zedong polemicized against other Marxists who argued for a strict “dictatorship of the proletariat.” Mao Zedong’s “New Democratic Revolution” involved a “bloc of four classes” so that there could be broader representation of the population. The process the Chinese Communists called the “New Democratic Revolution” in the areas they controlled involved redistributing land, freeing peasants from enslavement by landlords, teaching people to read, and empowering women. At the time, the world Communist movement was waging a global fight to “defend democracy against Fascism.” This fight included the Soviet Red Army, which lost more soldiers in the fight against Hitler than any other. It also included the underground resistance forces in France and Germany, as well as the partisan fighters in Italy. Even the US Communist Party, which was persecuted and imprisoned in the postwar period, was calling for “democracy” and rallying the US population to support the war effort and President Roosevelt. The governments established in Germany, Poland, Romania and other parts of Europe liberated by Soviet troops were called “People’s Democracies.” They included not just Communists, but Social-Democrats, Christians, and other sections of the anti-fascist movement. Despite having such overwhelming support and playing such a key role in defeating the Japanese invaders, the Chinese Communist Party was not allowed to participate in the elections for a new government once the war with Japan was over in 1945. The Chinese Communist Party was perfectly willing, like any other party, to run for office and join a coalition government with other forces. The Nationalists, led by Chiang Kai-Shek, refused to allow the Communists to be part of postwar China’s government. The United States and Britain supported the Nationalists in refusing to allow Communists to participate in a democratic election. So, the Communists took up arms once again. The Chinese Communists were not bloodthirsty ultra-leftist adventurers, and in their publications loudly rejected what Marxist-Leninists call “Putschism” or “Blanquism” – struggle philosophies that reject participation in the democratic process and glorify violence. Arise, all who refuse to be bond-slaves! Stand up and fight for liberty and true democracy! They sang these words once again as they battled the Chinese Nationalists and their US and British allies. This song is now the National Anthem of the People’s Republic of China. If the US-backed Nationalist Party had been victorious in 1949, the result would have not have been democratic in any way. After being defeated, Chiang Kai-Shek retreated to the island of Taiwan, which still claims to be the “Republic of China,” where he ruled with an iron fist. At one point he waged an ugly “White Terror” campaign in which 140,000 people were rounded up for daring to criticize him or his party. The US happily coddled the dictator Chiang Kai-Shek, seeing him as an effective ally against the Communist Party. Meanwhile, on mainland China, women emerged with unbound feet, land was redistributed to the peasants, literacy became universal, and the first industries were constructed. Students in Universities loudly criticized their professors, displaying “Big Character Posters.” Factories were reformed so that workers on the shop floor could vote for their managers. The Cultural Revolution included a call for broad discussion and debate throughout society. Thousands of newspapers and publications were started and funded by the government, in order to have wider debate and discussion of government policy. The “Red Guard” organizations started on the college campuses waged a mass campaign against corruption. They also sought to reform China’s art and culture to be more in line with the egalitarian political goals of the revolution. Many in China say that this period, known as the “Great Proletarian Cultural Revolution,” was one of extreme chaos and confusion. They talk of how rival factions of the youth “Red Guard” associations fought each other, and basic societal functions and industrial production became difficult because of the widespread spirit of revolt. Some sections of the Chinese Communist Party consider this period to be “too democratic,” saying that the lack of order caused society to spiral into a state of mob rule in which extreme excesses took place. Regardless of how the period is summed up, it was definitely an upsurge of democracy and democratic participation. All throughout society people were debating and discussing politics and government policy. On even the most local and basic levels, efforts were made to include the population in decision-making. Despite the rapid expansion of democracy, US leaders did not embrace the Cultural Revolution. During this democratic upsurge, US hostility to China was at its height. China was not allowed to join the United Nations, with Chiang Kai-Shek’s regime claiming to represent the millions of people throughout mainland China. While the US was getting friendlier toward the leaders of the USSR, especially Nikita Khrushchev, hatred for “Red China” filled the western media. The Dalai Lama, who ruled Tibet prior to the Chinese Revolution, was not a democratically elected head of state. He ruled Tibet as an absolute theocratic monarch. Disagreeing with the Dalai Lama, or the class of monks who backed him, could result in having one’s eyes amputated, or simply being killed. Serfs in pre-revolutionary Tibet had no human rights to speak of, and were frequently tortured and raped by the monks who ruled over them. In addition to the intense repression in pre-revolutionary Tibet, there was also extreme poverty for most of the population. Since this feudal order was overthrown in the 1950s, the US has embraced the Dalai Lama. An army of Dalai Lama supporters was trained in Colorado by the US military, and air-dropped into Tibet with US-made weapons. They waged a campaign of violence and terror in the Tibetan mountains, hoping to defeat the Chinese Communist Party and restore their feudal theocracy. In the book “The CIA’s Secret War in Tibet,” former CIA agents brag about their efforts to aid the absolutely non-democratic Tibetan separatists. In addition, the US currently supports and funds a religious grouping called the Falun Gong, which works to overthrow the Chinese Communist Party. The grouping practices a bizarre spin-off of Buddhism. They call for public execution of homosexuals and a ban on interracial marriage. They claim that the increasing role of women in Chinese society is a sign that humanity is approaching a “Dharma Ending Period” and that human civilization may collapse. Like the Tibetan Separatists and the Dalai Lama, the Falun Gong group makes no pretense of being democratic. They long for the days of feudalism, patriarchy, and poverty. They want a China without the radical reforms ushered in by the revolution of 1949. Does the US Want “Democracy” in China? The current “protest” movement in Hong Kong isn’t an upsurge involving ordinary working class people who are upset about the electoral system. Like so many of the US-backed “democracy” movements, it is a movement of wealthy college students who are enamored with a false image of US society. They fantasize that if only the Chinese Communist Party were overthrown, their streets would be paved with iPods and Miley Cyrus concert tickets. There are millions of Chinese people who have legitimate grievances against their government, no doubt. The reality is that despite the rhetoric, US leaders’ actions show they have little interest in “Democracy in China.” A mass movement that is funded and promoted by western media will not bring an expansion of democracy to China. The US-backed regime of South Korea has “National Security Laws” that have landed young people in prison for nothing other than tweeting. For many decades the US supported the rule of military dictators like Park Chung-hee and Syngman Rhee, and did its best to suppress the student protest movement. The US-backed South Korean regime frequently suppresses labor unions, and recently rounded up and imprisoned leaders of the Unified Progressive Party. In the Philippines, where the US is setting up military bases, democratic and human rights activists are disappeared all the time. Their corpses turn up mutilated, and they are often tortured before being killed. Simply being a member of one of a list of organizations, including the National Democratic Front, is punishable by years of imprisonment. While the quick snapshots of Chinese life provided by the western media may be deceiving, viewing the bigger picture should make it obvious: the United States, which backed Chiang Kai-Shek, the Dalai Lama, and the Falun Gong, has no real interest in strengthening any kind of actual democracy in China. Any movement backed and support by the United States government will not improve the lives of China’s people.